Looking for a good working Used Lincoln Engine or a specific Replacement Engine? Need an irresistible price? You should call and check before you buy. Welcome to an American-owned business with 30 years Auto Engine expertise. If yours is a 9th generation Lincoln or younger, you will find deeply discounted rates on Used Lincoln Engines of every capacity and torque issued for these model years, like the popular Used Ford Small Block V8 Engines sold in the Lincoln Town Car and the Continental Series. We can save you time on your rebuild. Check out our prices on Rebuilt Lincoln Engines or even the Remanufactured Lincoln Engines. Call frequently as prices are subject to availability and the prices on finely tuned Remanufactured Engines can often beat the prices on middle-aged Pre-Owned Lincoln Engines bringing you more life per dollar. Or are you needing a low-mileage Used Ford Engine for a late model Lincoln? These are ready to ship FREE for delivery in US or Canada! Have your VIN and the shop address handy when you call. Price quotes are FREE and instant! Are you busting your own knuckles after work and need help after hours? Stranded while on vacation? Call and leave a message! AutoUsedEngines quietly operates as the top distributor of Used Auto Engines serving drivers for three decades. Personalized services are at no additional charge. Do you drive a Lincoln MKC? You’re probably looking for its 2.0 L EcoBoost Gasoline Engine or maybe yours came with the 2.3 L of the same. The good news is that the platform of your MKC is shared across other Ford models who have the same Engine. More options means lower prices. We fully test them all, rigorously inspect, verify their histories and they are usually resting in our warehouses ready to ship! The same is true for many of the Lincoln models. Not only are Ford Engines wholly reliable and mutually agreeable across platforms, we can source for cheap working Used Ford Engines that will fit your Lincoln. With these you can drop and go. If you’re needing a raw Used Engine for your own modification or an Engine swap, we can help. Please note that anything other than a direct compatible in accordance to your VIN would lose any warranty or guarantee, but many Ford auto shops and individual Ford enthusiasts serious about repairs stick close with us for parts. Personalized services is what we are known for and we do so with no additional charge. If you haven’t the time or capacity to rebuild your own, our in-house engineers are highly qualified and certified to service Engines for all these models. All rebuilds and Remanufacture bring every unit up to top performance including restoration of manufacture mandated outputs and ratings. These have warranties and most are available with a money-back guarantee on top. Call and check on yours today. The prices are fantastic. We can find the right one to fit within your budget. Our huge dynamic inventory includes Pre-Owned Navigator Engines from each year sold since 1998. If you drive a 1st generation Lincoln Navigator, it is likely that you’ll be finding a Rebuilt Navigator Engine to use as a replacement. This one is either a 5.4 L Triton V8 or a 5.8 L InTech V8 Gasoline Engine. Most our clients with older Navigators are requesting Replacement Engines for the middle aged models, like 5.4 L V8 sold in the 2nd generation Navigators or the new 3.5 L V6 EcoBoost in the 4th generation Navigators. The Navigators received a serious upgrade after the year 2015, so be sure to have your VIN when you call. 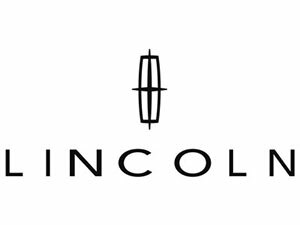 When it comes to Luxury Cars, Lincoln is known for exquisite detail and having the most comfort for even the harsh discriminating driver. But the mechanics! Lincoln is by far most superior in reliable pieces of machinery ever built. They simply keep running and running. The probabilities of engine failure is more likely to occur from the fault of the owner or from a driving accident than from a faulty engine. This makes sourcing extremely exciting for our clients and the longevity of Ford Engines allows for an abundance which lowers the prices even more for our clients. That’s why we love selling Used Auto Engines to our clients who drive a Lincoln. This one makes it easy and cheap! If your car beholds a Lincoln badge, we can find your Engine cheap. Call and check our prices today. Delivery is usually under a week and comes with personalized tracking at no additional charge. We take the guesswork out of Engine selection, because you have other important matters with which to attend. Which Lincoln do you drive?